・NEW! Updated terminology throughout, based on the American Veterinary Dental College Nomenclature Committee, helps you master the proper language and improve office communication. ・NEW! Section on diagnostic radiology and interpretation helps you understand nuances on radiographs. ・NEW! Expanded coverage of pocket pets provides vital information on these increasingly popular pets. ・NEW! Full-color illustrations gives you a better picture of concepts, equipment, and procedure details. ・Clear, heavily illustrated procedures provide a more detailed look at the skills you need to master. 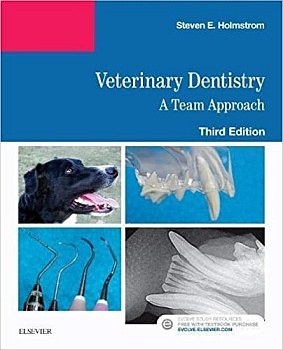 ・Vet Tech Threads include a variety of pedagogical features including learning objective, key terms, chapter outlines, Technician Notes, and more to help you navigate through chapters and focus your learning. ・Inclusion of digital dental radiography develops your understanding of direct radiology versus computerized radiology and the economic considerations of both. ・Dental terminology is incorporated to help you master the proper language and improve office communication.